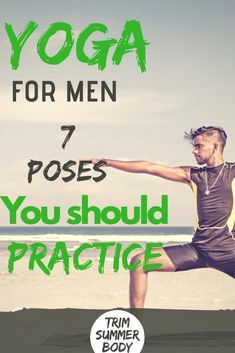 We have all heard about various workouts online that promise you the perfect body shape in just a few days, but we all know that is not really possible. No matter how intense the workout it, you won’t be able to change your body in just seven days as some of those people tell you. If you have been working out before, then you already know this because getting results is a process that takes a lot of time. What we are here for is to show you one of the most popular workouts for building the perfect booty. Of course, this workout is designed for the ladies, because they always want to have a booty they can show off. Well, if you follow this article, in these 30 days you will start seeing the first real results. Consider this workout as a 30-day booty challenge and if you do it, we would like to see the results. When it comes to shaping your booty, there isn’t a better exercise than squats and everyone who knows anything about working out will tell you the same. Therefore, this 30-day challenge will require from you to do squats every single day. Of course, during these 30 days, you wi ll be having a few days off because you have to leave some time for the muscles to rest. Rest is actually a very important part of a workout, and if you don’t rest enough between workouts, you can actually hurt yourself. We suggest that you don’t set a goal for squats at the start because you don’t know your limit. The key with this workout is to discover that limit and work from there. The first 5 days will be just for discovering your limits. You can do squats with or without weights, it doesn’t really matter because with weights you will do less, and without weights, you will do far more squats. That’s why this workout is so efficient, it allows everyone to do it, even if you are not in a good shape. As mentioned the key with this workout is that you will have to increase your limit each day. What this means is that if your limit is 40 squats without an y weights, you will have to do at least 10 more the next day. You are not allowed any rest between, this should be only one set. After the set is done, you can rest 30 to 60 seconds and try again, but this time you won’t be able to get near that number. The key to every booty building is to do proper squats, you can do all kinds of other exercises also, but you must not forget to do your daily limit of squats because that will get you the results that you want. In case after the first 30 days you didn’t achieve the results that you were dreaming of, it doesn’t mean it is not working, it just means that you need to do another round of 30 days and so on, until you achieve the shape that you want.